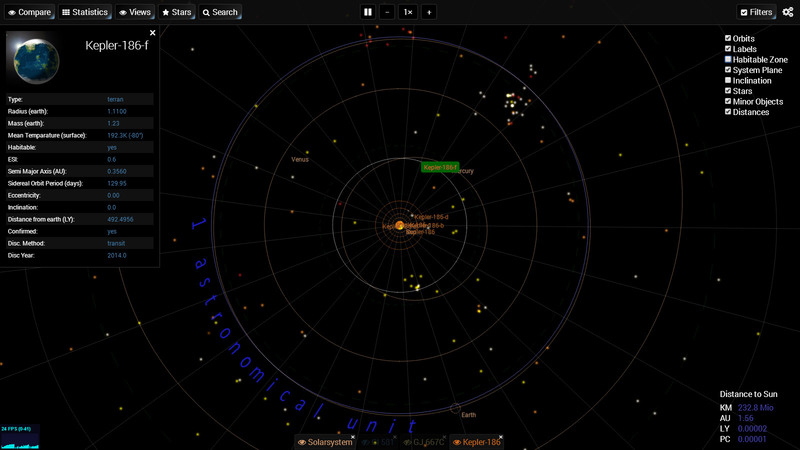 This is an approach to make planet systems accessable easily by visualizing their bodies and orbits. 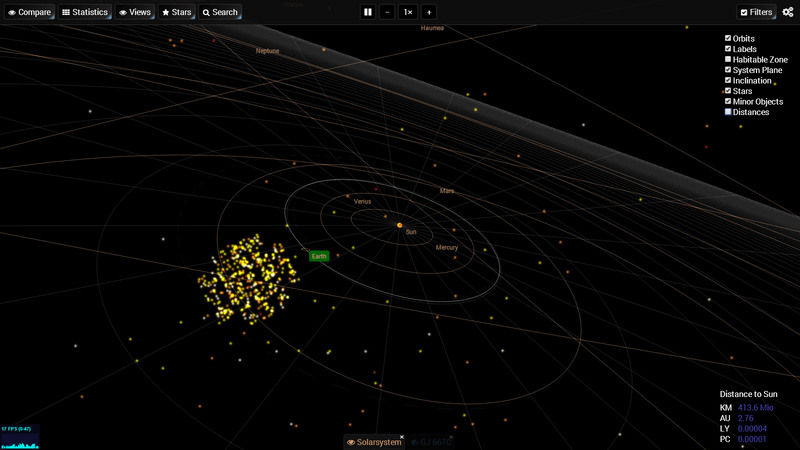 It uses a 3D space to render and animate planet systems like our solar system or exoplanet systems. Feel free to check it out! The application is created with modern web technologies like Three.js WebGL, CSS3 and HTML5. Since these technologies are not yet supported by all major Browsers please make sure to use a modern Browser with its latest version like Google Chrome, Mozilla Firefox, Opera, Safari or Internet Explorer 11. 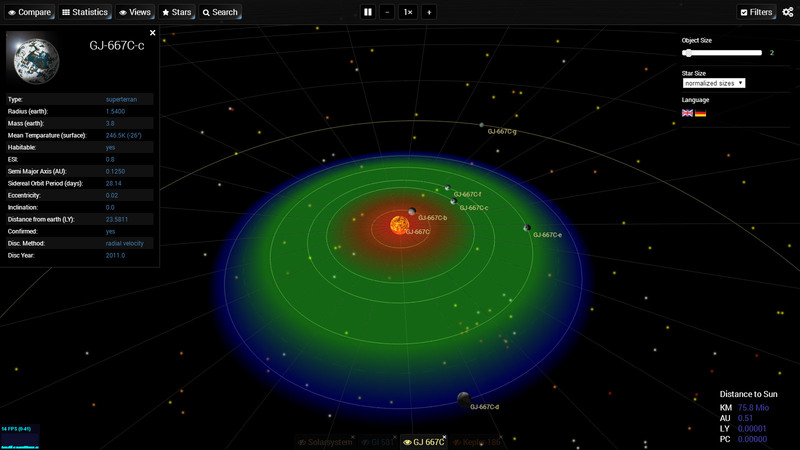 Gliese 667 is a planet system with 6 planets orbiting a sunlike star. The science of planets that have their orbits around other stars represents an important discipline in modern astronomy. Whereas in ancient Greek and other cultures 2000 years before people already thought about the existance of other worlds, only in 1992 the scientific proof could be made. PSR B1257+12 B was the first confirmed exoplanet discoverd by observing a pulsar in a distance of around 980 light years from us. Currently their are more than 1700 confirmed exoplanets (03/2014) from which some are possibly comparable with rock planets such as our earth. Many more wait for confirmation and discovery and are subject of current exoplanet investigation. 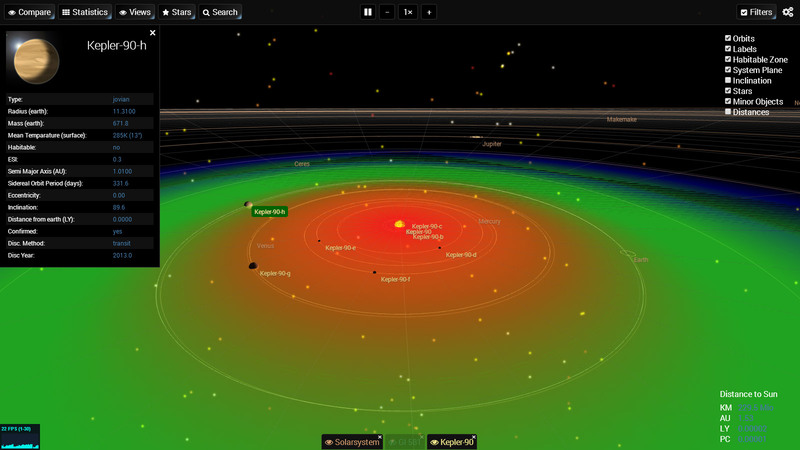 Special thanks goes to PHL (Planetary Habitability Laboratory) and their work on the Habitable Exoplanet Catalog. This app is based on the cataloge data. 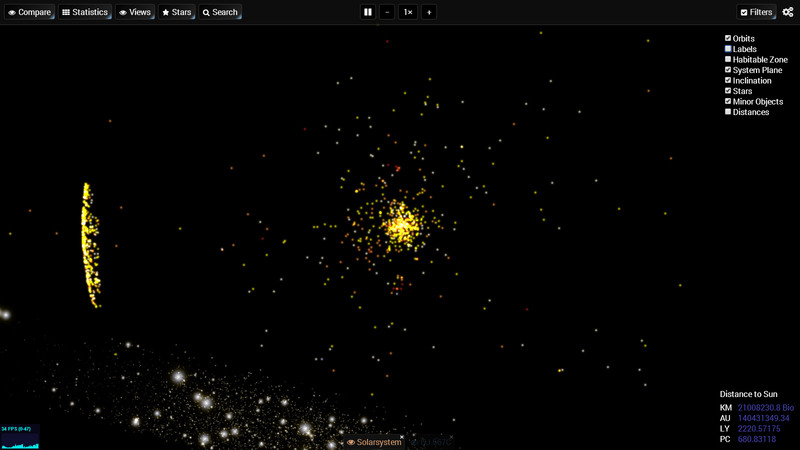 Also very valuable is the work given by the NASA Exoplanet Archive and the Exoplanets Data Explorer. 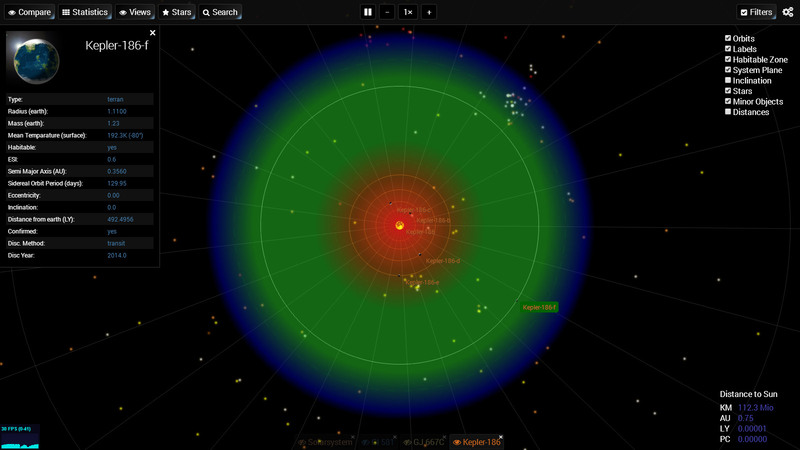 Even more data is available at http://exoplanets.eu/. If you like to support the development of this application feel free to provide some small contribution. Just drop a message here and I will write you back. Any financial help is highly appreciated. Hi, I would like to give you some financial support.